We have an opening for a parent representative on our School Council. This vacancy was created by the departure of our parent representative, Lisa Lake. On your behalf, we extend our thanks and appreciation to Ms. Lake for her kind and generous contributions to our school community over the past several years. She was one of our tireless volunteers who was always there and at the ready to lend a hand whenever and where ever it was needed. Besides her work with our School Council, she volunteered on our parking lot in the mornings and also in our school’s learning commons. Her presence here at Beachy Cove will certainly be missed. 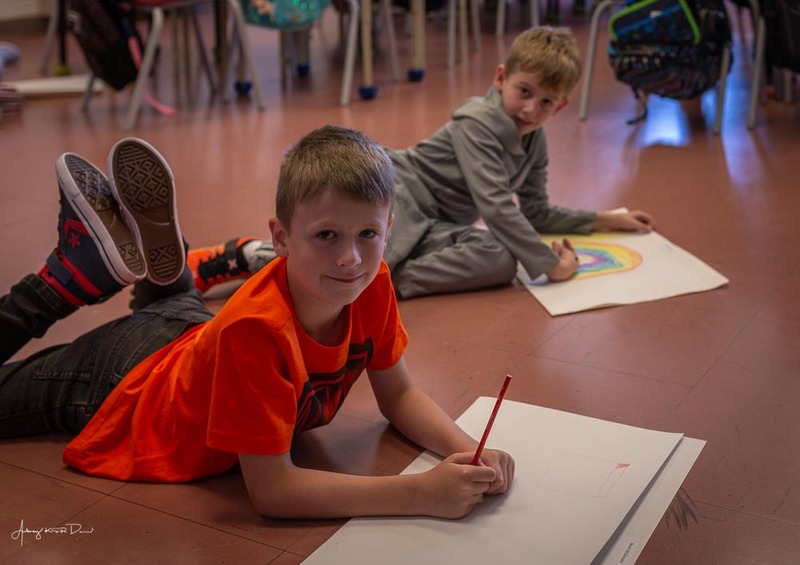 If you are interested in serving our school community as a parent representative on our school council, please indicate your intentions to us by e-mail (aubreydawe@nlesd.ca) including a short biographical statement. Nominations will close at 3:30pm on Friday, September 29, 2017. An election, if necessary, will be held on Wednesday, October 11, 2017. Before we know it, we will be head and ears into Hallowe’en festivities in our school and in our community. 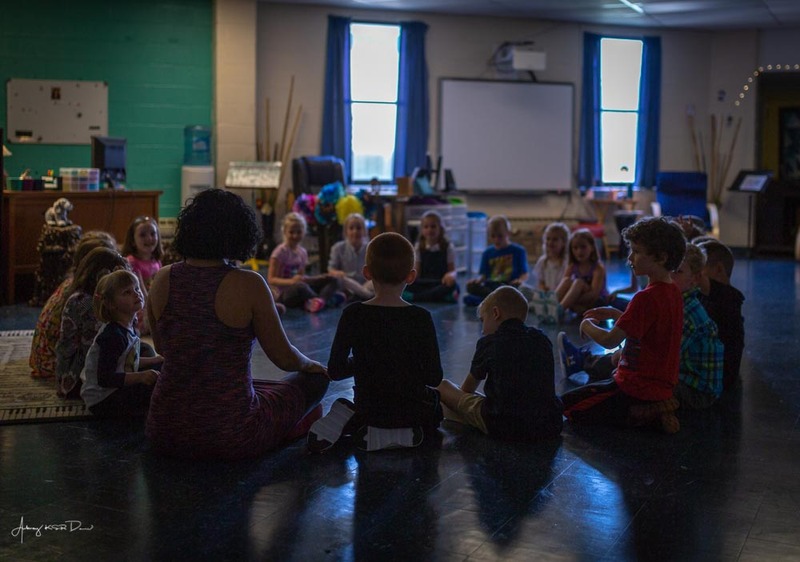 Our classes will hold Hallowe’en parties during the last hour of the day on Tuesday, October 31, 2018. As you and your child(ren) plan costumes and such, please remember that costumes and costume props (i.e., axes, guns, etc.) of a violent nature are not permitted. While we appreciate the many kind gestures like treat bags, loot bags, cakes, and cupcakes that come our way on Hallowe’en, experience has taught us to say, “No, thanks!”. If you wish, you can provide a snack for your own child(ren); however, we cannot accept containers of cakes, cupcakes, loot bags or other treats for the whole class due to the number and types of allergies we have in our school. And, because of the sheer number of items we have seen in the past, we have found ourselves spending our afternoons distributing treats and contending with the massive cleanup that ensues. Thank you for your cooperation in adhering to these expectations. We are looking for a few volunteers to assist us on our parking lot during the morning drop-off. We’re looking for adults to open up car doors for parents to facilitate efficient drop-offs in our “kiss n’ ride” lane. If you have a few minutes to spare on weekday mornings, please let us know and we will get you set up to assist; even those who can do this for a morning or two a week would be warmly welcomed. We will hold our annual Thanksgiving Food Drive from October 2-5, 2017. If you are in a position to donate a non-perishable food item to this worthwhile cause, please send it along to the school by your child at any time during this week. Representatives from the Community Food Sharing Association will come to the school on Friday, October 6, 2017 to collect our donations. We have many learners with life threatening allergies to peanuts and tree nuts. Consequently, peanuts, tree nuts, and products containing them, including peanut butter, are banned schoolwide. You should also be aware that soy butter products which have been formulated to have the same consistency and taste as peanut butter is also banned. This is to avoid any potential for confusion and mistakes in consumption by our learners with allergies. Another of our young learners has a life-threatening allergy to sesame seeds; however, while we don’t have a ban on sesame seeds and products containing them, we strongly encourage our families to bear this in mind when shopping for and packing lunches and snacks for school. We have now worked our way through all applications for courtesy seats and courtesy stops. We were very pleased to accommodate all requests. On your behalf, we acknowledge and thank Mrs. Penney for her commitment to ensuring that this process was completed in a timely fashion. She worked tremendously hard over the first weeks of school to get this project completed successfully. Our school, and many of our teachers, have active Twitter accounts. We use this to communicate short bursts of timely information. 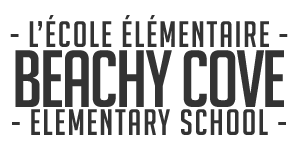 Our main school account (@beachycoveelem) has 2014 followers which means that this system works well. If you don’t have an account, you are encouraged you to get one and follow us so that you can stay informed. E-mail addresses for our staff can be found under the “Staff” tab on our website (www.beachycove.ca). 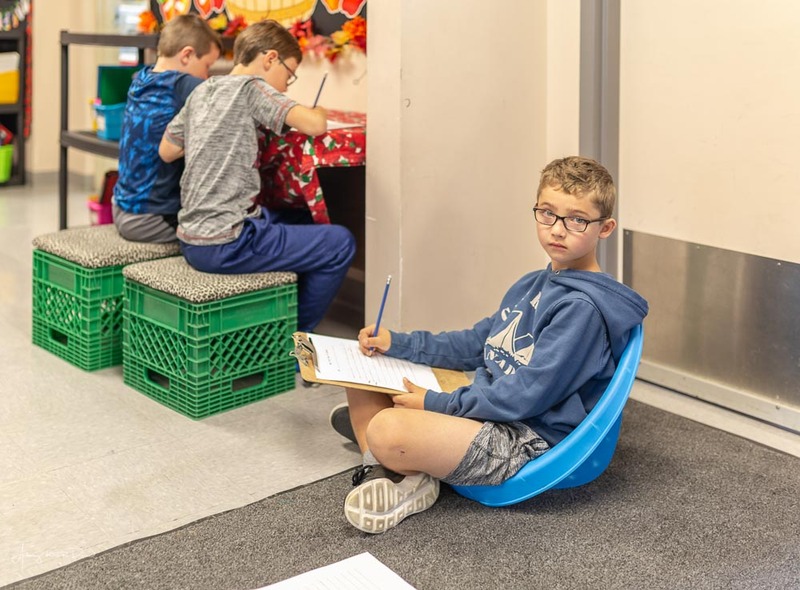 You are free to use this method to communicate with us; however, please be mindful that classroom and specialist teachers rarely get an opportunity throughout the day to check and reply to e-mail as they have teaching responsibilities. Replies will typically be done prior to the start of class or after school. In the interest of a good work-life balance, we encourage our teachers to stay away from e-mails at home during the evening. That is not to say that you won’t get a reply in the evening, but there is no expectation that that our staff engage in e-mail replies from home. We extend our thanks and appreciation to our families for following the proper channels when you have questions or concerns. As always, should you have a question or concern, we much prefer that you direct these to us at the school by telephone or e-mail rather than taking to Social Media. If your question or concern is with your child’s teacher, please speak with him/her directly and if you are not satisfied, we encourage you to contact the administrative team at the office. And, should you not be happy with the resolution offered at that stage, we will happily direct you to the appropriate personnel at the school district. Following this protocol will ensure that your questions are answered and your concerns addressed privately and through respectful dialogue. Our school doors are unlocked at 8:10am each day which is also the time that teacher supervision begins. Classes start at 8:30am sharp each day (see note below about late arrivals) and we break for recess at 10:00am. Classes resume after recess at 10:15am and we break for lunch at 11:45am. Lunch concludes at 12:40pm when our afternoon session begins. Our school day concludes at 2:40am. We extend a big “Thumbs up!” to all of our learners and their families who arrive at school on time for the beginning of our instructional day. 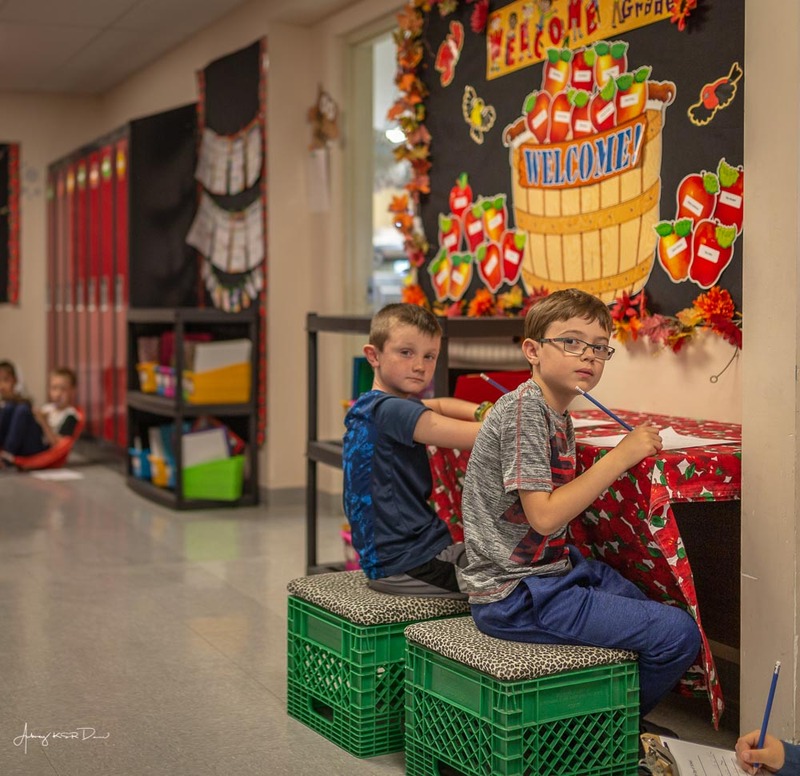 Ensuring that we are at our desks, ready and organized for learning by 8:30am each morning is really an important life lesson that is reflective of promptness and respect for others as no one is interrupted by late arrivals. Thank you to all of our parents and families who came out in such large number last week to meet our teachers and to learn about school and curricular routines. 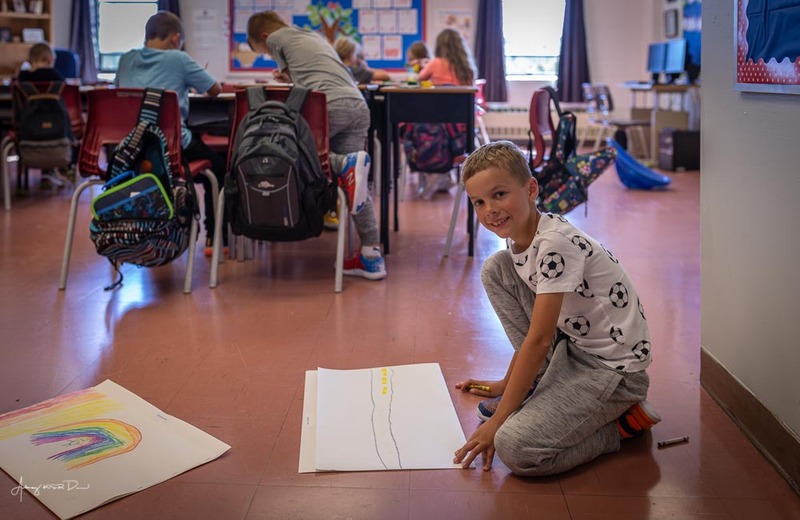 We are together on this big journey of formal education and it is important that we establish and maintain strong connections through events like these. 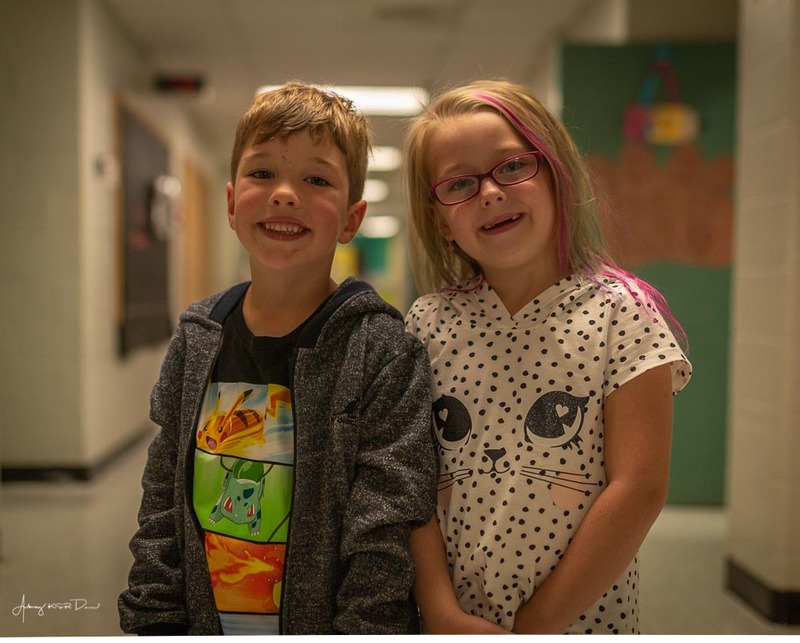 Although the next formal opportunity to come in to the school is during parent-teacher interviews on November 30, 2017, please don’t wait until then with any questions you may have; please get in touch with us at any time and we’d be happy to dialogue with you about your child’s acheivements. We accept recyclable beverage containers at our recycling shed every Tuesday morning during morning arrival. Thank you so much for your anticipated support and cooperation. If you are interested in volunteering with us on our parking lot from 8:10am-8:30am each morning, please let us know as soon as possible. Please note the following dates for various events scheduled for this year. We reserve the right to change these dates with advance notice to you. A respectful community of leaders and learners. Une communauté de modèles et d’apprenants qui se respectent.